Daily office routines involve a deficit of physical activity, which can often lead to back pain due to sore muscles. 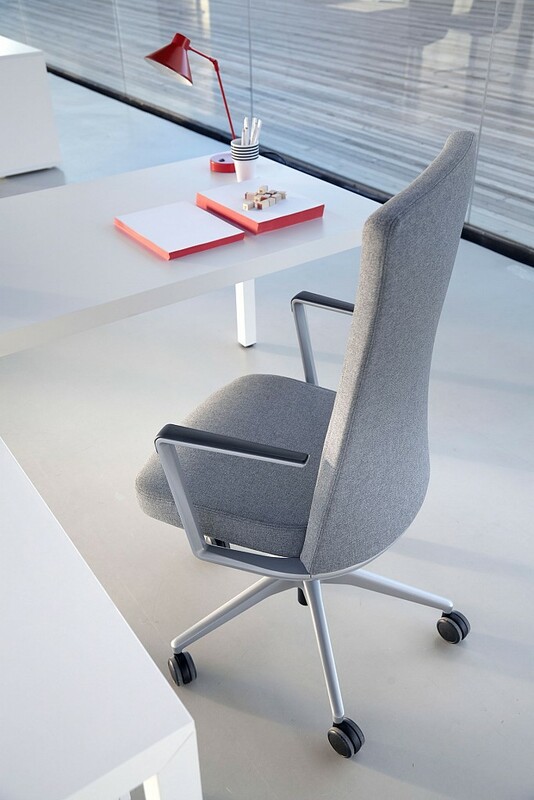 The best solution is dynamic seating: anyone sitting down on a Lordo office swivel chair with Syncro-Dynamic Advanced® mechanism and an elastic backrest will experience both support and stability, and automatically remain in continuous motion. 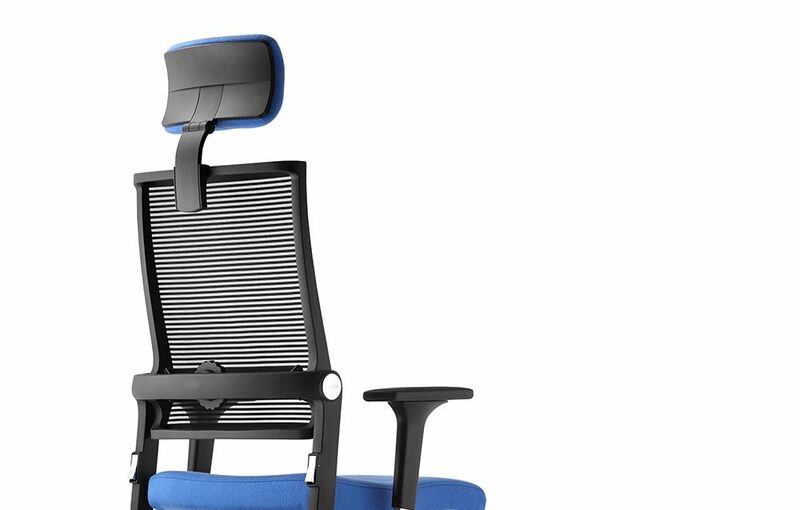 The backrest follows the movement process synchronously and with a constant counter pressure and ensures continuous, pleasant support. 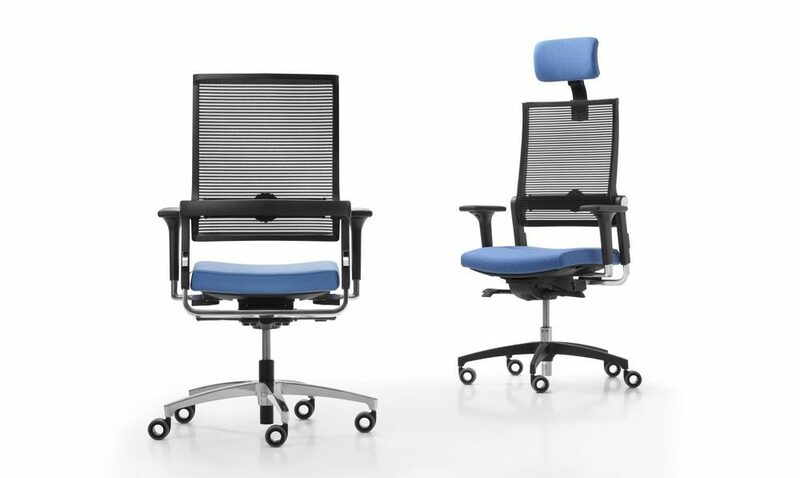 The new developed, flexibly mounted backrest offers optimum body adjustment and ergonomic support during the whole movement process. 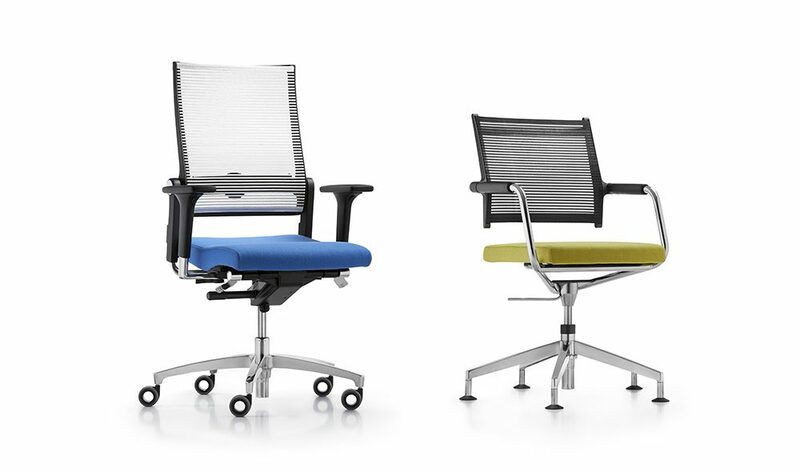 Lordo Flex and Lordo Flex Executive. 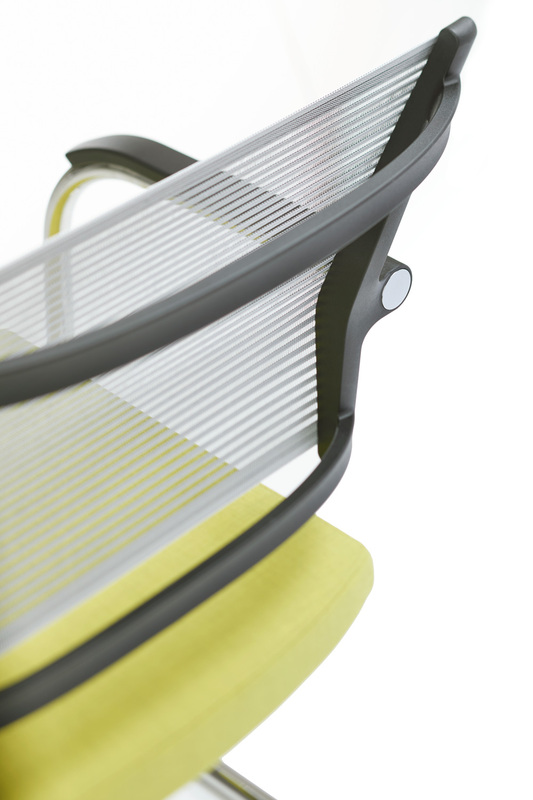 Base can be specified in 4 finishes: black plastic, anthracite plastic, aluminium anthracite, and polished aluminium. Seat upholstery available in a range of house fabrics. 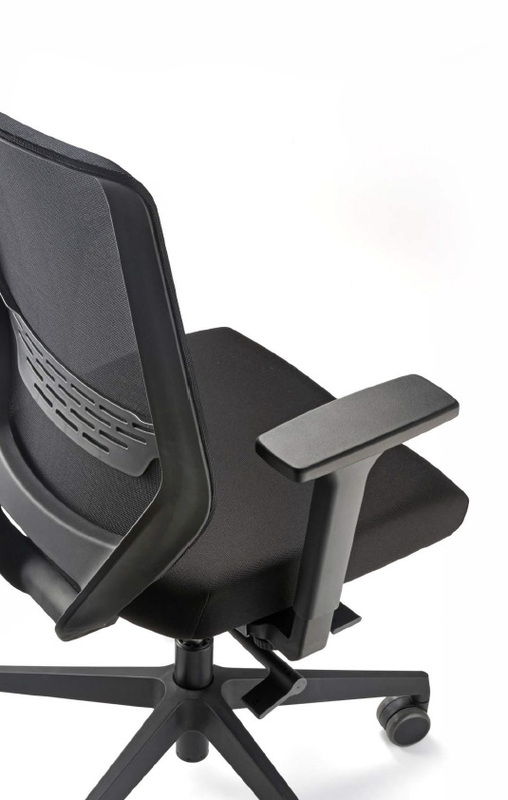 Optional ergonomic height-adjustable (7cm) neck rest. 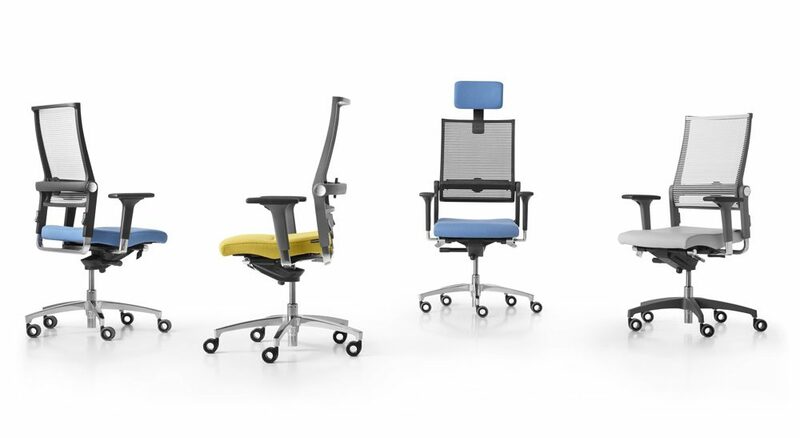 4 optional armrests: 2-function with PU soft arm pads, 4-function with PU soft arm pads, 2-function Leather arm pads, 6-function PU soft arm pads. 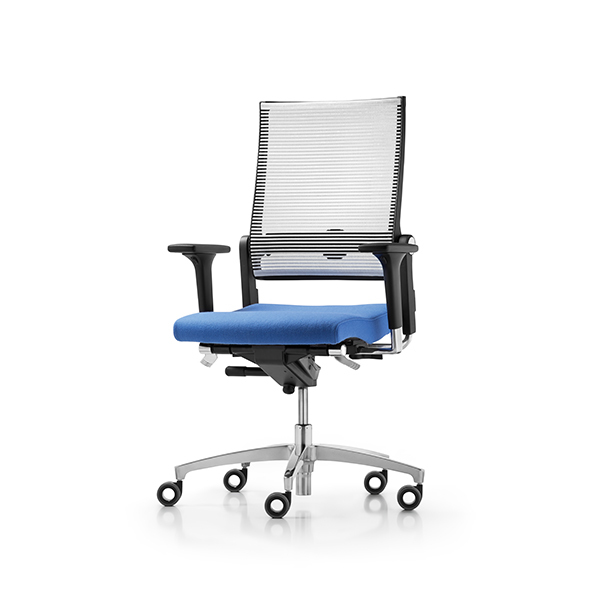 Flexibly mounted backrest with an elastic mesh fabric for optimum support and dynamic sitting. 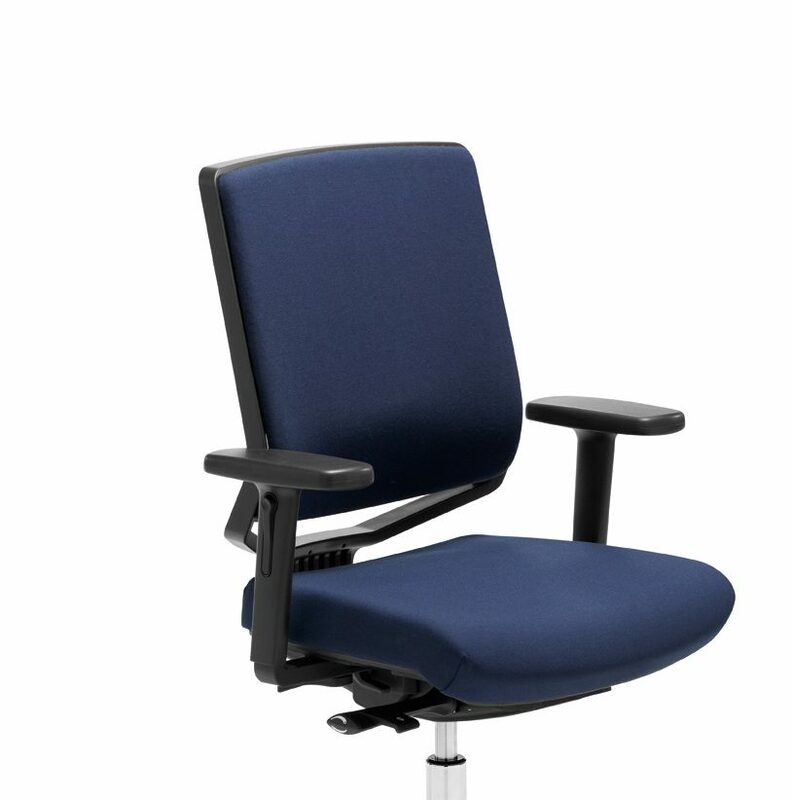 Wide range of the backrest height adjustment (10 cm) to cater for the individual body sizes of users. 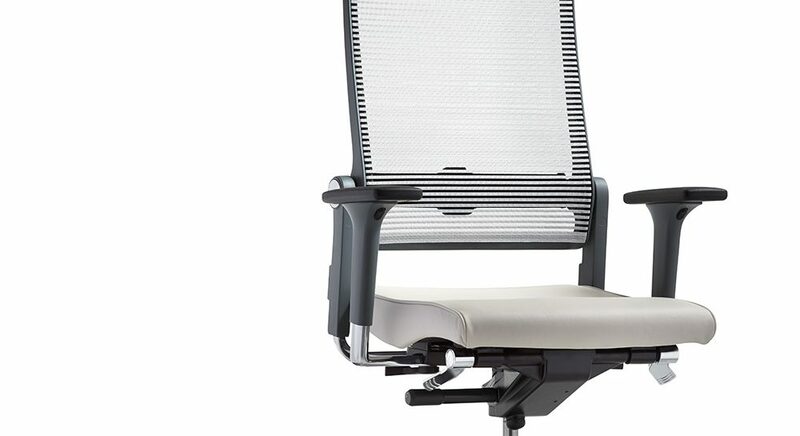 Syncro-Quickshift®-plus with rapid adjustment of the backrest counter-pressure offers support for different users and is the ideal solution for shared workstations. Seat-depth adjustment using sliding seat (6 cm/10 cm NPR) .